Queen of Grunge - Artwork by Gerrie Johnnic: Girlfriends Matter! Just a quickie post today for Lisa's Blogger Challenge and it's Girlfriends! Love the ladies and the sentiment! I like the overall design - very cool! I wish I could embrace colour as you do. 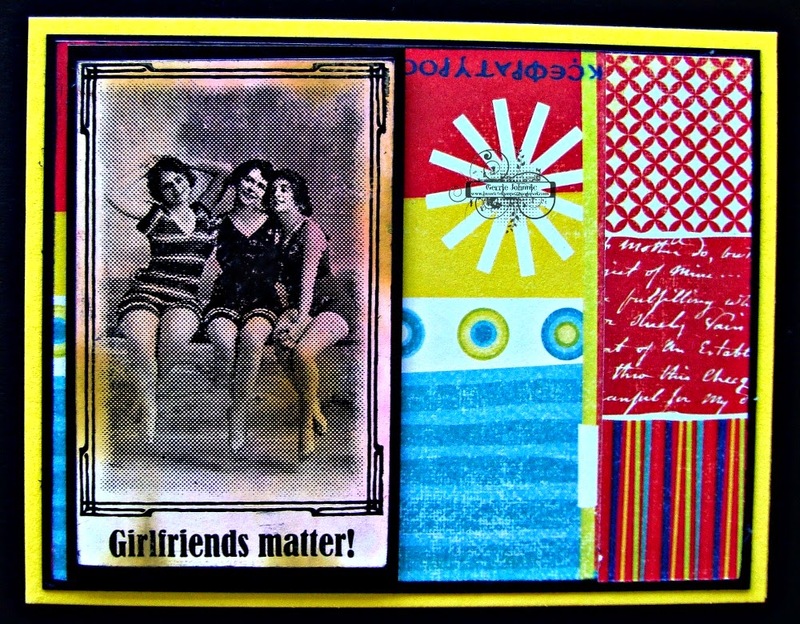 Yes they do GF and this is one fabulous card.....love the image and the bright colors. Love the challenge, and I love your work! Nothing sweeter than girlfriends, eh? very cute image and love the black against those primary colors in the background! Love the vibrant background with the cool photo stamp!